I was introduced to the Elder Scrolls series of games over 10 years ago when I was looking for a role-playing game that provided me with the freedom to be creative with my character. By “freedom” I mean do whatever I wanted and not simply follow a linear storyline. After performing some searches online I came across Morrowind, and have been hooked on the Elder Scrolls series ever since. Fast-forward to now, after countless hours playing Morrowind, Oblivion and Skyrim, I can honestly say, for me anyway, the only way to really enjoy the Elder Scrolls games is on a PC. The reason? One simple word: mods. Modding has provided the Elder Scrolls games with so much playability, realism, and creativity, that no single developer of games can match. Every facet of these games has been modded in some way, even going so far as creating an entirely different game (called a “total conversion”) using the game’s engine. Modding has also increased the lifespan of the games as fans still enjoy playing Morrowind over 10 years later, and with mods that are still be developed and maintained. Installing and using mods is one of the reasons I still play the games. I haven’t played Morrowind, Oblivion, and Skyrim without any mods, except when I first get the game and rush into play it. I usually find many mods that I add to the game to increase my immersion into the world created by Bethesda. As your read through the chapters for the journals on this site you can see that the screenshots show Skyrim with many mods installed. The most obvious is the look of the terrain, objects and characters. 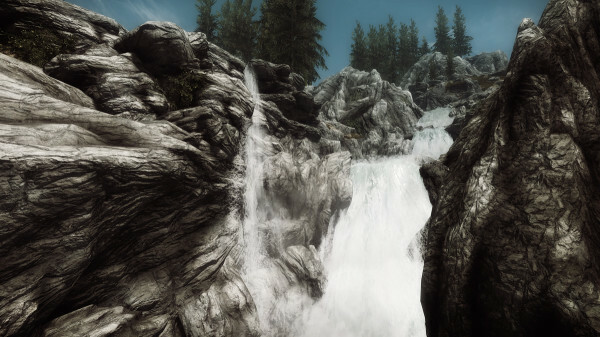 While Bethesda creates textures that can be played on even low-end computers, mods have been created so those with higher-end computers can enjoy all their computers can offer. With that being said, I choose my Skyrim mods wisely. 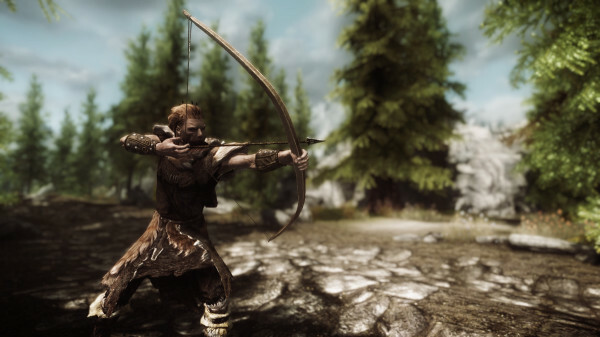 I have specific ideas of what I like to look for in a mod, and with Skyrim it was no different. I try to use mods that will add to my game, but not change it so drastically that it doesn’t feel the same as the first idea I had about the time period and location. This is what is called “lore friendly” and I like to adhere to that principle. I think of Skyrim as a cold and harsh province. It takes a strong person to live in this land, and so I don’t like to use mods that make the atmosphere too vibrant. Some areas, such as near Riften, are colorful, but most of the province is tundra, snow, and ice. There are a lot of mods that can change about anything on a player character. For me, the people of Skyrim are dirty, hardworking, and strong, and so I won’t use mods that show clean, flawless skin, perfectly neat hair, or anything that looks like the character came from a beauty salon. Most of the people of Skyrim seem too busy making a living to care about where they should get their hair done. Much like character mods, there are also a lot of mods related to armor and weapons. For me, I like to find armor that covers a large portion of the body. There are many armor mods that like to show off some of the player’s well-toned body, but I really can’t see my character wearing such armor in the cold province of Skyrim (unless you’re a Nord with cold-resistance) while they try to protect them self from other creatures. With weapons it is similar as there have been many different weapons, from guns to lightsabers mods created. While they are fun, they don’t help me immerse myself in the game. I like to include mods that bring a sense of realism to the game. By this I mean such mods that force my character to eat and sleep, become affected by the cold, and just affect how my character survives. I don’t include mods that add powerful items and effects that can unbalance the game, and I don’t look at ways of trying to create the uber-character. I may choose perks that others may think are a waste, but when I’m role-playing, nothing is a waste if it adds to the story of my character. The above list is just some of the things I think about when choosing a mod to install. I may install some mods that don’t meet the above list, just for some fun, but when I role-play I try to keep things a realistic as possible. With the immense number of mods available, I can do just that. and tagged Modding, Morrowind, Oblivion, Skyrim.